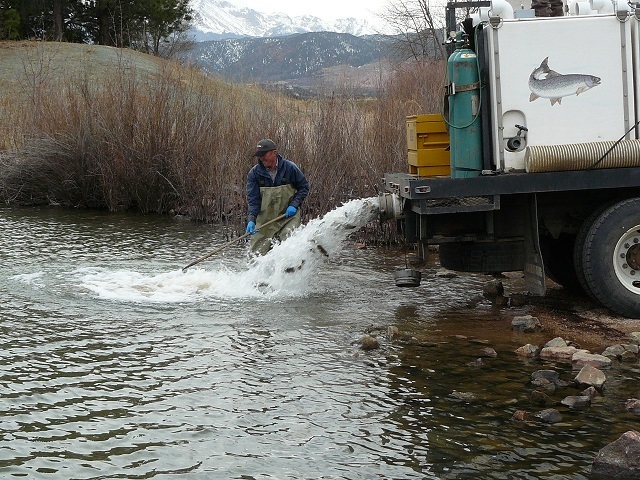 The five Air Force Academy lakes and three Farish Recreation Area lakes are stocked with 9-11" rainbow trout from April through September, and channel catfish are occasionally stocked in the Academy's lakes. Grass carp are used to control aquatic weeds and should be released. The sale of fishing permits covers the yearly cost of stocking the hatchery-reared trout and catfish. 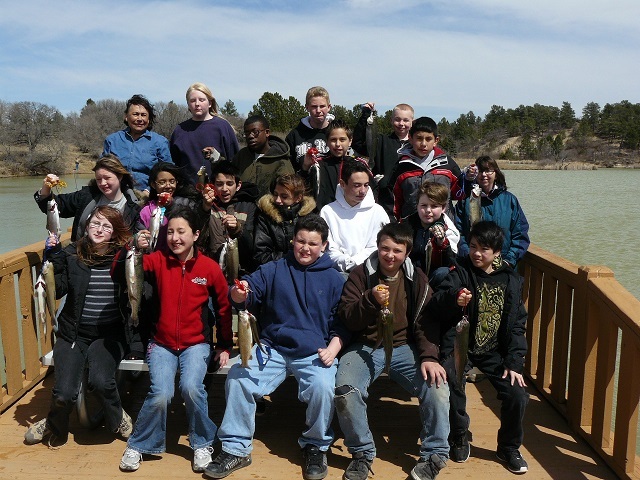 All anglers 16+ years of age must purchase a one-day ($7.25) or annual ($21) fishing permit, which is valid for both the Air Force Academy and Farish Recreation Area. A $5 permit allowing the use of a second fishing rod is also available. A state fishing license is NOT required. Fishing is NOT open to the general public; only active duty military, military retirees, current DoD civilians, and sponsored guests are eligible to fish the Air Force Academy and Farish Recreation Area lakes. Camping and lodging guests at Farish Recreation Area that do not meet one of these user categories can only purchase one-day fishing permits. Additional fishing information and regulations is available in USAFAI32-7001. To purchase a fishing permit click here and follow the instructions. Each person must create an INDIVIDUAL iSportsman account so a permit can be printed with the correct name. After completing the purchase, print your permit or save a PDF or photo copy to a mobile device. Some form of the permit must be in your possession while fishing. Over-the-counter permits are available through the Force Support Squadron (FSS) at Farish Recreation Area, Outdoor Recreation, and FamCamp, but we request you use the online system when possible. By using iSportsman our administrative costs are reduced and more of your permit fee goes toward fish stocking and other natural resources and recreational amenities. Fishing permits sold over-the-counter are subject to a 12% FSS processing fee, which means we receive less net income for fish stocking. Free, lifetime fishing permits are available for Purple Heart recipients and veterans with a 60% or higher Department of Veterans Affairs (DAV) disability rating. Disabled veterans must bring their military identification card and DAV letter to Natural Resources to receive the lifetime permit. Call Natural Resources at (719) 333-3308 to schedule an appointment. Fishermen with a state-issued handicap vehicle license plate or placard can apply for a DoD access badge that operates the Airfield's gate; providing easier access to the Kettle Lakes. A "disabled veteran" license plate does not meet the Airfield's requirements for gate access. Call Natural Resources at (719) 333-3308 to schedule an appointment for completing the paperwork that must be processed by the Pass and Registration Center. Airfield gate badges are valid for one-year and can only be renewed within 30 days of expiration. Unwanted fish species, invasive aquatic organisms, and fish diseases can severely impact the quality of a lake or stream for fishing. Unfortunately, all of these problems have been introduced to the Academy's lakes by fishermen, fish hatchery deliveries, and flow from upstream ponds. Unwanted, nuisance fish such as goldfish, koi, European rudd, and crappie occur in most of the lakes. If caught, these fish should be disposed of in the available trash containers. Although the Academy stocks only whirling disease-free trout, the parasite that causes this disease does occur in the lakes. 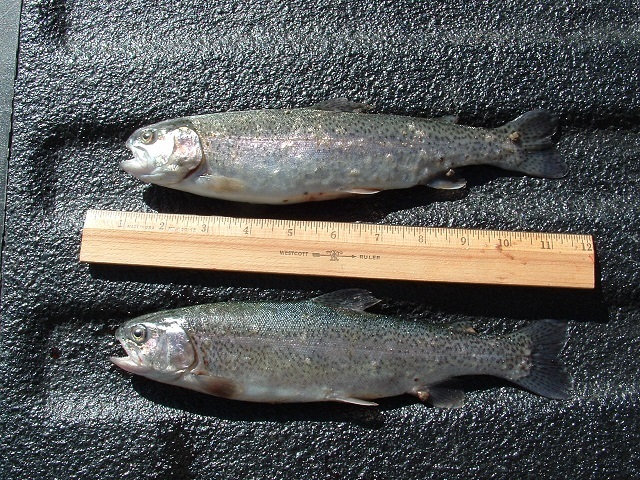 Most stocked trout are not in the lakes long enough to contract and display symptoms of whirling disease, and infected fish are safe for human consumption with proper cooking. Anchor worm, another fish parasite, is prevalent in the lakes. This disease is caused by an external parasite that penetrates the fish’s skin, often at the base of a fin. The head develops into an “anchor” that holds the parasite in place, and then the female produces egg sacs that can look like small worms. The site of attachment usually develops into a bumpy sore which can cover the body of a severely infected fish. The cause of an anchor worm outbreak is unknown, but it is likely that a combination of environmental and biological factors, such as higher water temperature and fish density, helps promote the parasite. There is no practical method for treating the fish or controlling the parasite. Although the fish can look unsightly, anchor worm does not pose a human health risk and infected fish are safe to consume with proper cooking.